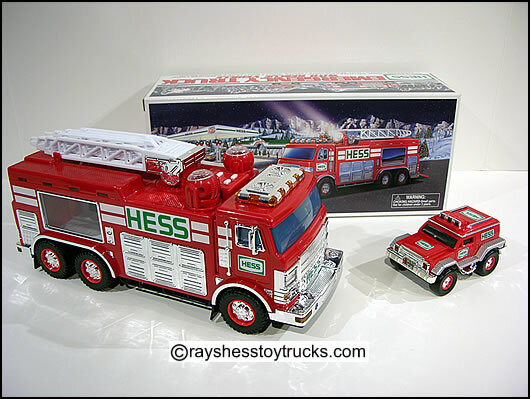 Hess has come out with another great looking Emergency truck that features real head and taillights, multiple sound features, a ramp in the rear of the truck for the rescue vehicle to drive up into and duel searchlights. As if that was not enough it also has an extension ladder that reaches high up into the air for any rescue. The small rescue truck believe it or not also has lights and runs by a friction motor. It measures approximately 12? in length.